Arms Around You (AAY) is a non-profit re-entry resource program that serves formerly incarcerated individuals coming out of correctional facilities by assisting with transitional needs. AAY is an organization that provides innovative, personal evelopment driven reentry assistance and resources designed to increase public safety and reduce recidivism. 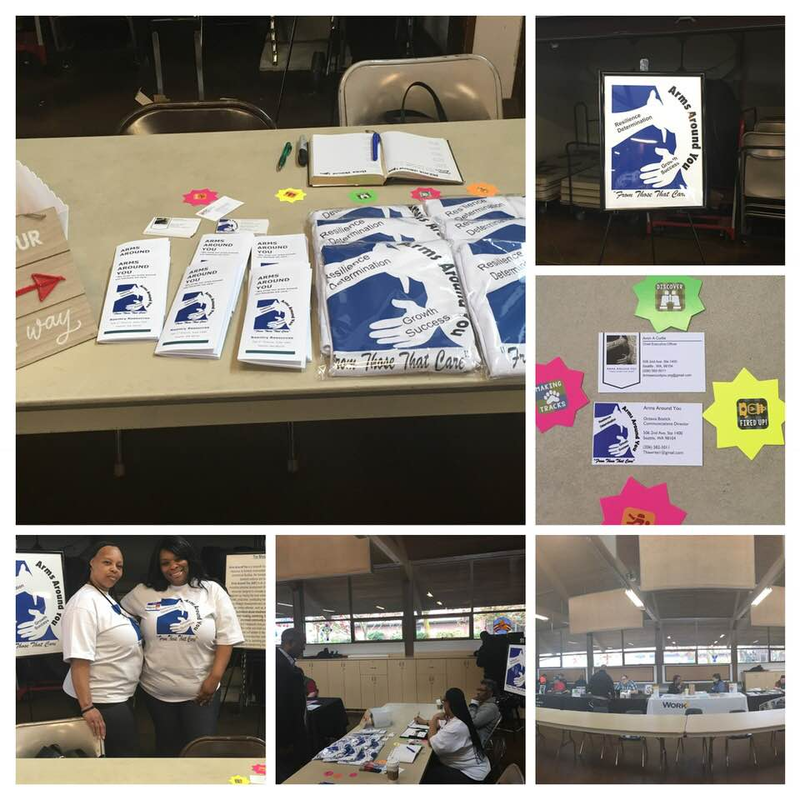 AAY joined the King County Department of Corrections Resource Fair in it’s first of many community partner events to increase awareness of the services provided by the young non-profit. The Resource fair took place on Saturday April 14, 2018 from 2-4pm at Kent Lutheran Church, 336 2nd Ave S, Kent, WA 98032. The resource fair is the first of many upcoming community events that will allow the non-profit to work with community partners to grow its network of community support and resources in the hopes of improving public safety and outcomes for people reentering their communities. This entry was posted in Award, celebrity, honoree, India, Recognition, women and tagged Arms Around You, assisting, Avon Curtis, correctional facilities, founder, incarcerated, individuals, needs, non profit, Seattle, Today's Honoree, transitional, WA, Washington. Bookmark the permalink.